Don’t play Bob the Builder with the Green Belt! Last week, the Tory-led Cambridgeshire County Council Cabinet voted to start putting together a business case for developing housing on Wort’s Causeway. The County owns 8.5 hectares of land to the south of Wort’s Causeway, known in the Local Plan consultation as GB2, GB1 being a slightly smaller parcel of land to the north. I think this was premature. Both sites are still in the green belt, despite the fact that the City and District Councils’ Local Plans have proposed that they come out so they can be built on. As the Local Plan has not yet been decided, I think the County Council should wait before it starts playing Bob the Builder. To do otherwise is hugely disrespectful to the hundreds of people who have made representations about these sites. It is also speculative, making assumptions about the outcome of the Local Plan. Although the County Council Cabinet takes major decisions, backbencher councillors are able to call in decisions and have them debated by overview and scrutiny committees. That is what I did, along with colleagues from Histon & Impington, East Chesterton and Fulbourn. The paper was discussed at the Resources scrutiny committee this afternoon (download hereHousing call-in). Histon councillor Mike Mason and I addressed the committee and expressed our concerns regarding the prematurity of the decision, the principle of the County providing housing, and whether the business case development is properly provided for in the Council’s budget. I am pleased to say that the committee voted to refer the decision back to the Cabinet, who will now need to take a fresh look. I speak in two capacities: as a substitute member of this committee and also as a local councillor for Queen Edith’s, home to GB2, one of the sites concerned. But I would like to talk to you first of all on behalf of my ward, which is the first priority for all of us. Wort’s Causeway is an area of outstanding beauty, with paths to the Beechwoods and Wandlebury and views of the Gogs. It was partly the original Roman Road. And it is in the Green Belt. 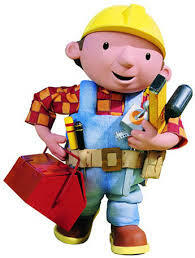 The way councillors are talking about playing Bob The Builder, you would think it were not green belt, but it is, and it will stay in the green belt until the Inspector’s Report into the Local Plan. Maybe it will still be green belt after that too; we cannot be certain of that yet. I have to tell you that people who live in the area are vehemently opposed to taking GB1 and GB2 out of the green belt. There have been hundreds of objections as part of the Local Plan consultation, and a 2,600-signature petition. Going ahead with investigations into building houses on the land while the Inspector’s report is so imminent is treating these people and their concerns with contempt. The chair of the Save the Cambridge Green Belt campaign has said to me, ‘It is depressing. It seems everything is done and dusted before any vote takes place.’ People think it is profoundly undemocratic. Now — we are not the Planning Authority. But we are responsible for transport. Beyond the opposition to the environmental vandalism, residents have other concerns. It is unsustainable. The sites are not near shops, schools, nurseries or post offices. This is not a good environment in which to build houses. Development poses a threat to transport. It is estimated that if houses are built on these sites there will be a 15% increase in traffic – that is on top of the extra cars generated by the Bell School development very close by. At present, buses travel down Wort’s Causeway to avoid Babraham Road – about 19 buses an hour, including our Park and Ride buses. If this quantity of houses are built, these services will be compromised. I realize that the motivation for building here is to raise revenue for public services, but I would urge the Council not to count chickens before they are hatched. When the Local Plan is settled, it is likely that there will be many new applications. I have it on good authority that the City Council’s planners will not be able to develop a scheme for this area until about 2015/6. Look at the Bell School site, just half a mile away. Back in 2007, they applied for outline planning permission. Seven years one, not one brick has been laid. So the County Council is unlikely to see any return on investment for a very long time. In summary, this decision was premature. It shows a contempt for local people’s views in rushing to build before a decision on green belt status, and the site is unsuitable and unsustainable for what is proposed. And financially, it is reckless to rely on money coming in quickly. Chair, committee, thank you for listening. Very well put, thanks Amanda and please keep fighting.